What causes dandruff and which best home-based treatments can be really helpful? Read on to get the answers! At some point or the other, many of us may have suffered from an itchy and flaky scalp. Whether it occurs only during certain months or is consistent all year round, dandruff is a very common dermatological problem faced by both men and women. You may have tied using various dandruff treating shampoos, oils or medication, but if you are still find yourself caught with white flakes on your hair and clothes too often, there may be some other options you can try. But first, let’s start by understanding what causes dandruff. 1. Dry skin: This is the most common cause for dandruff build up. When the skin doesn’t receive enough moisture, the scalp tends to dry up and small scaly flakes begin to form and settle near the roots of the hair which is known as dandruff. During the winter months when the weather is cold and dry, your skin may lack sufficient moisture which could lead to development of dandruff. 2. Oily skin: When you have an oily scalp, the skin begins to clump and flakes appear as dandruff. If you find yourself with a lot of dandruff during the summer months, it may be because of the sweat and dirt settlement which makes the scalp more oily. 3. Unclean scalp: If you use a lot of hair care and styling products such as gels and hairsprays, they begin to build up on the scalp after a while. Not cleaning your scalp enough may thus lead to dandruff. Even if you don’t use too many products, there may be a lot of dirt, pollution and dust settled on the scalp which is causing dandruff. Make sure to wash your hair regularly with a clarifying shampoo to clean the scalp thoroughly and prevent dandruff. 4. Sensitive scalp: Sometimes just like the skin, the scalp too is extremely sensitive and may not be able to withstand the harsh chemicals in various products. If you continue to use such synthetic products on a sensitive scalp, it can lead to dandruff. 5. Yeast fungus: A fungus known as malassezia is present on the scalp of most people, but in some cases it irritates a few. When the scalp gets irritated due to the malassezia, it leads to the formation of newer, excess cells which die and fall off and get a whitish, flaky appearance which is also a form of dandruff. Certain other factors such as stress, chemotherapy, obesity, climate change, skin conditions such as psoriasis or eczema could also be a cause for dandruff. If you are tired of someone commenting on your flaky scalp, here are a few home remedies that you can try to solve this problem for good. 1. Coconut oil: As it has anti-fungal properties, coconut oil is an excellent remedy to treat consistent dandruff. It also helps to moisturize a dry scalp and prevent flaking of the skin. 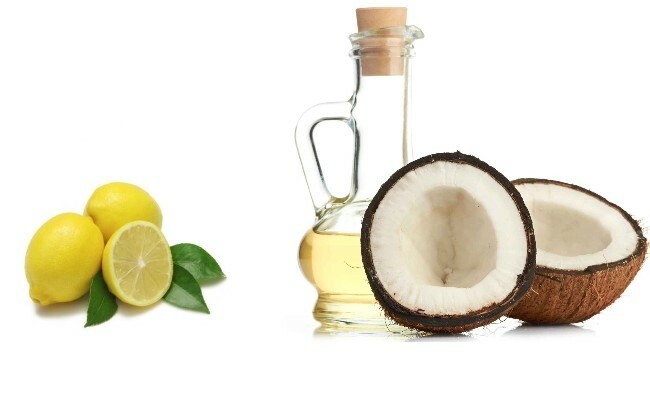 Just mix some coconut oil and lemon juice and rub it all over the scalp 30 minutes before a shower. 2. Apple cider vinegar: Apple cider vinegar helps to restore the pH balance of the scalp and inhibits the growth of the yeast. This helps to clarify the scalp and cleanse it thoroughly to remove all the buildup of products, sweat or dirt. Mix together equal amounts of apple cider vinegar and water and add 10 drops of tea tree oil if available. 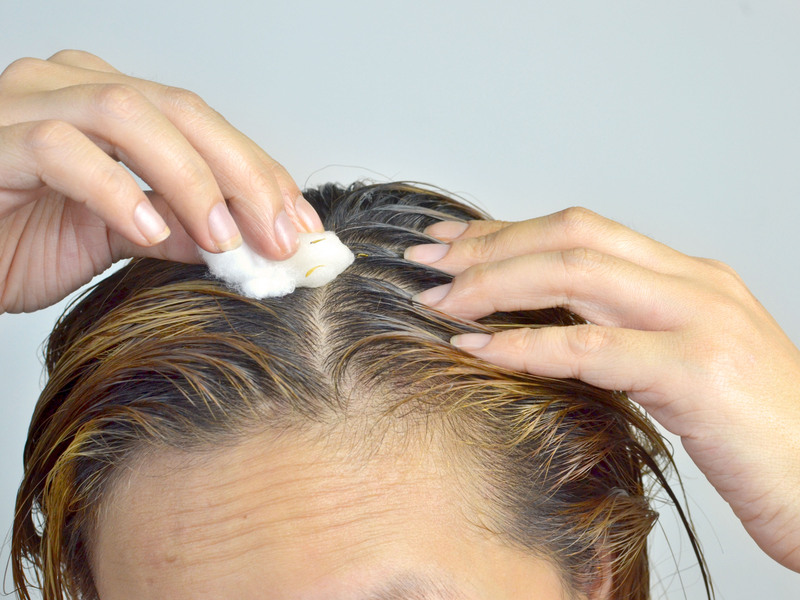 Apply this mixture on your scalp using a cotton ball and rinse it off after 10 minutes. You can use this treatment twice or thrice a week for excellent results.